DIY Crafts, Projects and Hobbies! For drawing, you simply need a pencil and paper. I used a standard HB #2 pencil. You may also need an eraser. 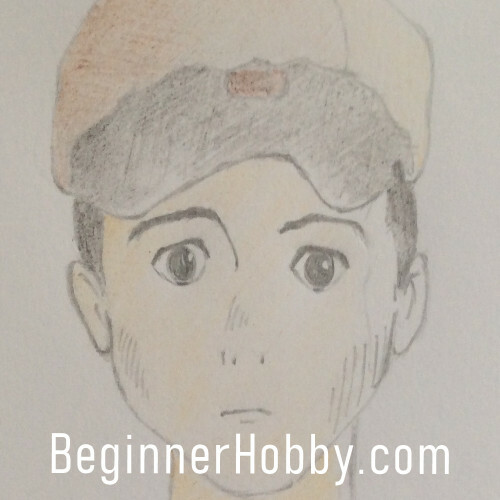 If you're serious about drawing, you can find "artist"or "sketching" pencil sets available. Pencil sets offer a range of grades, eg. 5H, 4H, 2H, H, HB, B, 2B, 3B, 4B, 5B. These grades refer to the hardness (H) or blackness (B) of the pencil. The harder the graphite or 'lead' in the pencil, the lighter the shade. 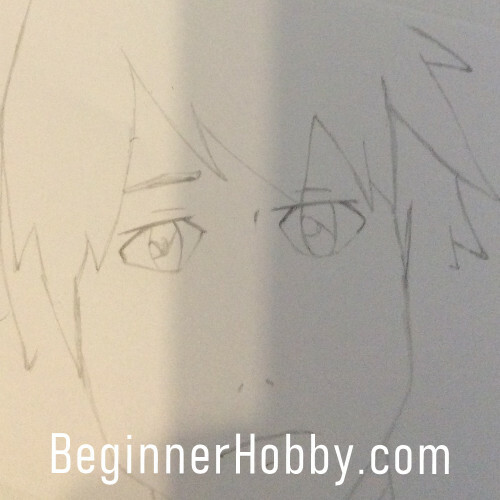 You can also use pens, and graphic pens, to get that authentic anime look. 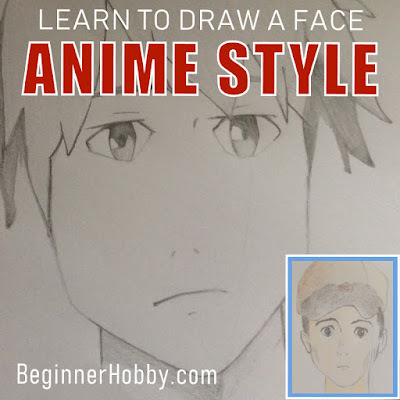 To draw an anime face, you need to understand a few basic things about the anime style. 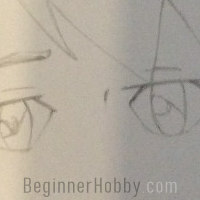 Eyes are the most important part of the drawing. They are larger than expected, about 3 times the proportionate size. Eyes are drawn with a heavy (thick) line across for the eyelid area. Then a thinner line is drawn across the bottom. You’ll notice the how the bottom line swings unnaturally low. The nose is made with two small dashes on the page, and the mouth with a thin line. The jaw is pronounced, while the rest of the outer face shape is proportionate to normal standards. The hair (or hat) is exaggerated. 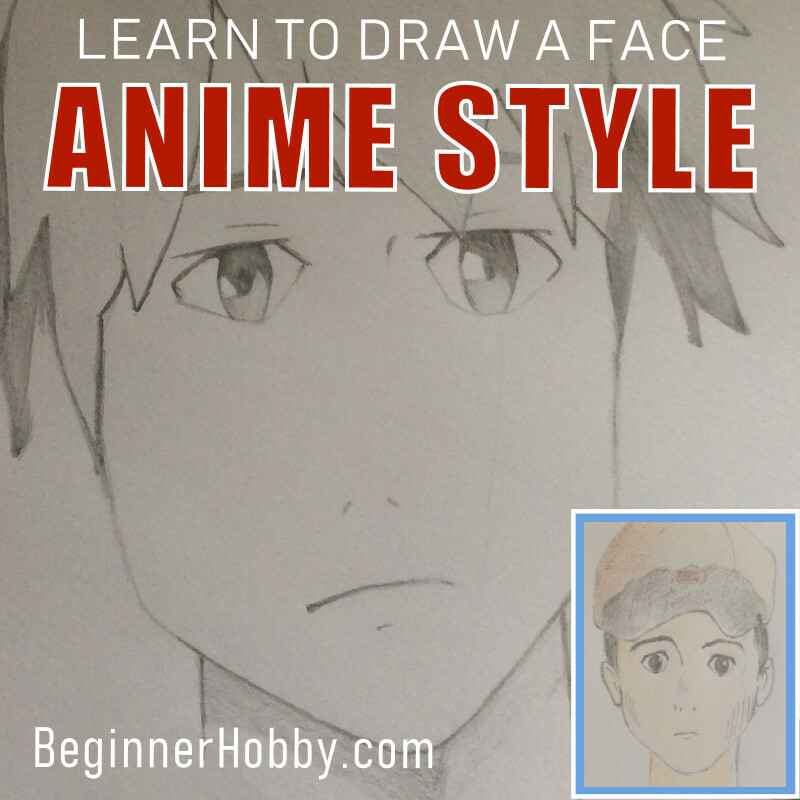 Drawing an anime face is much like drawing what you see. Simply exaggerate the eyes and minimise all other features within the face frame. Then look for standard shaping for the silhouette and frame. Years ago, I thought of myself as an Artist. That was all before I needed a J.O.B. Here I am, well over a decade since I last lifted a pencil with intent, trying my hand at drawing again! I'm a huge fan of anime movies, and love the drawing style. Drawing in an anime style is quite rewarding. For my first attempt, I paused an anime movie, ‘Flavors Of Youth’, and studied the image. It wasn’t hard to pick up the anime methods and I was able to replicate the image, to a reasonable standard, on the page. I shared my drawing on Instagram, and wasn’t the slightest bit embarrassed! I went on to draw a Studio Ghibli image from Grave Of The Fire Flies, and finally attempted to draw my face anime style (below). Drawing in an anime style is challenging enough to keep my interest, while also being very gratifying. My bin collected a few crumpled pieces of paper, but even then, I simply started again and within minutes had something more promising. I suspect if I keep drawing, I could quickly improve. With use of colours, shading, managing body shapes and lighting, there’s enough here to keep anyone busy. Finally, if you’re looking for inspiration and community, you'll find it on Instagram. If you want to see some stunning anime, check out who I'm following! Please share a link for your followers on social media. I’ve also got this great pin looking for a new home. Thank you! - PS, you can find me on Pinterest here! My Pinterest, where I pin new articles! My Instagram, where I post images of the weekly hobby! My YouTube, where I post fun videos and tutorials! My Twitter, where I tweet about new posts! How To Make A Kite That Flies! 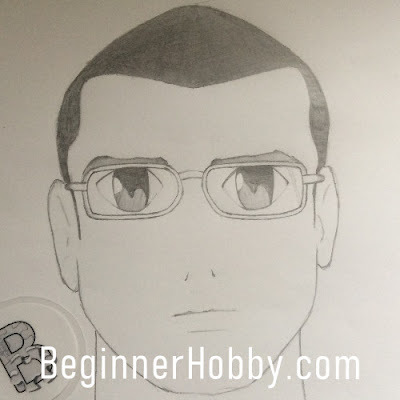 Copyright © 2018 BeginnerHobby.com | DR | All Rights Reserved. Watermark theme. Powered by Blogger.